I have a motherboard that has only one USB 3 connector, but I have two bay devices that have two USB 3 ports each. If I understand correctly from my previous research on the subject, I can't connect both devices to the same connector, via a splitter cable, because of the pin out of the USB 3 connector, which will only allow one device. I just want to make sure that is the case before I order a cable to convert my USB 3 ports on one device to a USB 2, because I'd really rather them each have USB 3. I appreciate any input you may have on this. If i'm understanding you right you need something that would give you a second 20 pin connector? They don't make a y connector for the 20 pin. You'll have to get a pci express addin card to get the other usb 3 connection. You could also use a powered hub. Thanks guys. That's what I was afraid you would tell me. I guess my other option, and the one I'll probably end up going with, is getting a USB3 to USB2 cable (because I've got an internal USB hub inside my case - like attached pic), and just run it as a USB2. Not exactly what I wanted, but I guess it will serve the purpose just the same (just not as fast). P.S. On second thought (let me run this by all of you), I have a panel on the front of my computer that looks like this (Exhibit A), which as you will notice, has a USB Type-C port on it. 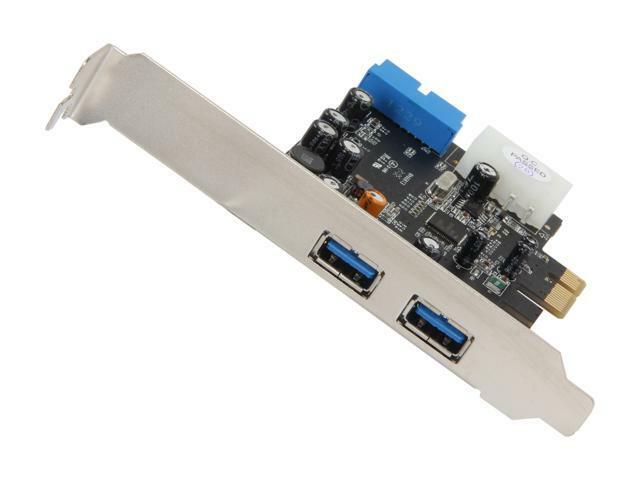 Will that work with a USB 2, or do I need something like this (Exhibit B) to attach to the motherboard for USB 3? Thanks again, for the advice. Type c has nothing to do with usb 2. Basically a connection to transfer data from a phone or other devices that uses that connection. If you want usb 3 20 pin connection then you'll need the second item.